Gardening is great for involving kids and my daughter just loves being outside digging and planting. It does require hard work and dedication but worth it in the end when you see the results from what you grow. To be honest this year we decided to grow a few things to see how it goes then perhaps think about expanding next year although the weather hasn’t been so good to us this summer but we still managed to grow a few things. So What are we Growing? 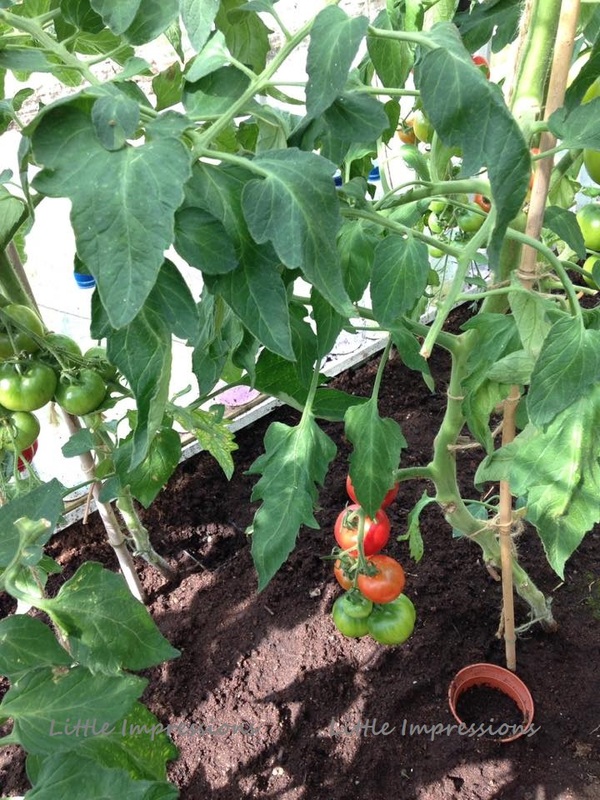 Tomatoes – There so many things they can be used for from sandwiches to salads and even to make soups. Tomatoes are rich in vitamin C and also contain some antioxidants which is good for a well-balanced diet and lets face it alot of us worry about what we eat sometimes and I am definitely guilty of this. Lettuce – We grew lettuce mostly for putting in sandwiches, salads and burgers. Strawberries – We love our strawberries and i probably use them more than the kids as i love to blend them and make smoothies or milkshakes. My daughter loves going out to pick strawberries but we didnt get many as we would have hoped for this year with the bad weather but it didn’t take away how sweet and delicious they were. A little too sweet for our 9 month old he loves his vegetables more than fruits. 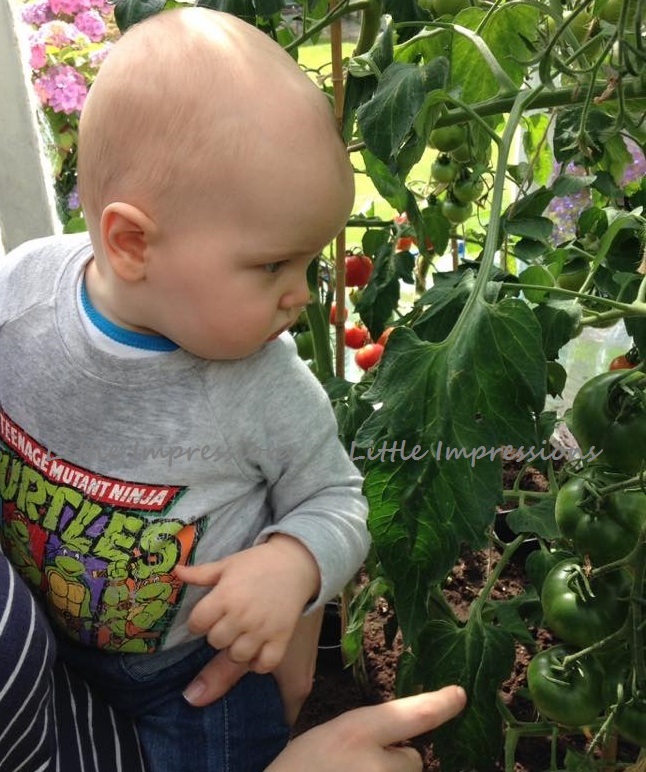 The little man is checking out the tomatoes in the photo. The reason we decided to grow a few things this year was mainly to involve our daughter in the planting and the looking after the plants and also the aspect of promoting healthy eating to her and she was also learning this in school before the summer holidays. We are very pleased with what we have grown and what is still growing at the minute and hope to maybe try planting some different things next season.